The ongoing destruction of our environment by man-made pollution continues to push the world toward catastrophic consequences. The roots of some of these problems are often traced to the rise of Western modernity as well as the Western attitude to nature, where nature is objectified and exploited as a resource. In response, we are seeing the emergence of an eco-centric perspective in contemporary art. Environmental artists have been using various approaches from focusing on raising awareness to searching for solutions or setting out a plan for social transformation. Some of them have noted that certain non-Western cultures could inform a valuable shift in aesthetic experience. In many Indigenous cultures, nature often centres the members of a group by providing boundaries of behaviour, as well as access to sacred realms of enlightenment. While the idealisation of Indigenous cultures has been condemned, embracing them in art practice has generated not only fasciation (e.g. Hayao Miyazaki & Haruki Murakami) but also effective preservation of nature. Can ikebana, as an art form with its origin in ancient Japan, provide any insights for contemporary environmental artists in their efforts to transform values and aesthetic sensibility? 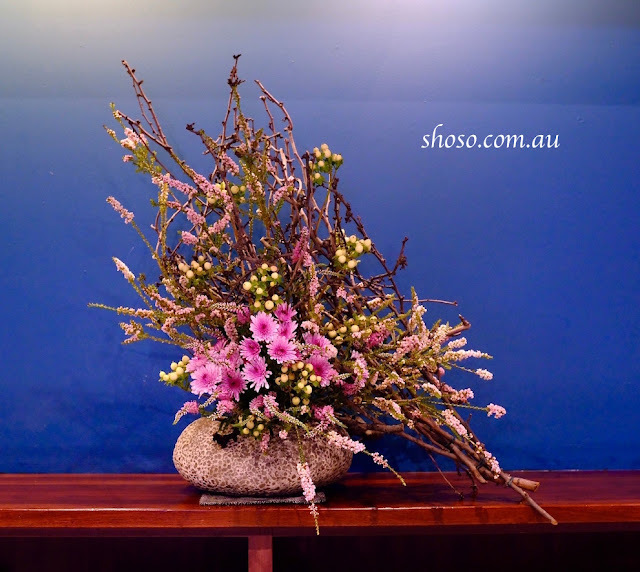 In the 16th century, ikebana was defined as the symbolic representation of nature. It developed into an art form encompassing spiritual training in the pursuit of the harmonious coexistence of human beings and nature, regarding humans as part of nature. However, the ikebana reform movement in 1930’s under the influence of the Western modernism declared ikebana to be only a form of art. 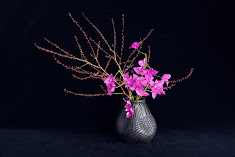 Contemporary ikebana is still under the influence of that reformation, but a re-examination of the traditional values of ikebana might bring it into line with the aims of environmental art.